Like many artists I admire Emma Gates is dyslexic, and as she explained to me that means she struggles to express herself successfully using the written word. However, she is able to use visual art, in particular photography to explore narratives and tell stories, as well as documenting her life. As I’ve found with many artists, including myself, Emma prefers making projects of her own volition and avoids doing commissions, as she finds the process of working to someone else’s agenda creatively stifling. “I have a compulsion to record and document things that happen to me and things that interest me.” Gates’ work is intimately personal and derives its power from this, two of the projects that struck me most were about the death of her mother and the birth of her first son, which it turns out happened during the same academic year of her MA. 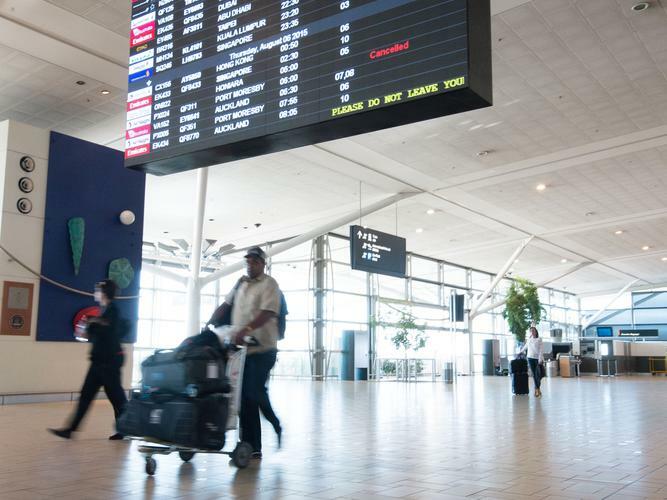 Alzheimer’s Australia has named Brisbane Airport as Australia’s first dementia-friendly airport with the launch of an airport guide for travellers with dementia. 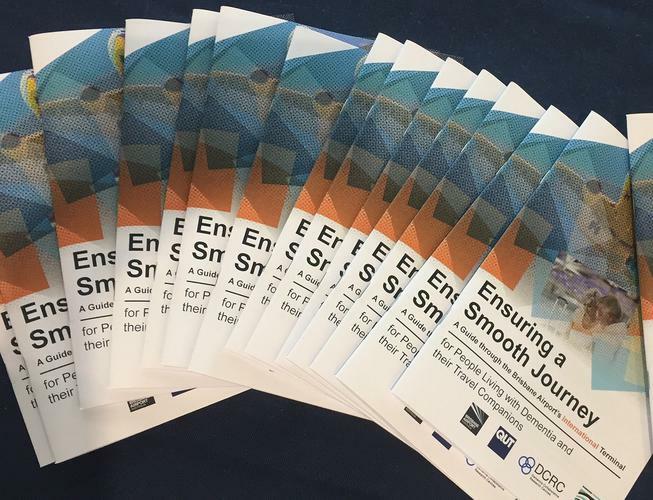 Ensuring a Smooth Journey: A Guide to Brisbane Airport for people living with Dementia and their Travel Companions is a step-by-step guide of the airport. It identifies the international dementia friendly symbols and takes users through the different airport zones. The guide also outlines what to expect in the bag screening area, duty free regulations, customs, quarantine, transfers and immigration, and includes advice from people who have dementia and those who travel with them. The Queensland University Technology-based Dementia Centre for Research Collaboration: Carers and Consumers (DCRC-CC), who developed the guide has been working with the airport since 2015 to improve the experience of air travel for people with dementia. “Close to 47 million people worldwide live with dementia, including more than 413,000 Australians, but many still travel. Until now, no guidelines for dealing with such passengers existed for airlines, airports or carers,” says Professor Beattie, Director of the DCRC-CC, adding a previous DCRC-CC study found the most challenging part of air travel for people with dementia was managing at the airport. Julieanne Alroe, Brisbane Airport Corporation (BAC) CEO and Managing Director, says the resources kit would complement Brisbane Airport’s existing Disability Access program and be integrated into customer service training for airline staff and other airport workers, including retailers, security, cleaners and volunteers. Professor Beattie also hopes the guide and staff training material can be adapted for use in other airports in Australia and worldwide, and in other formats, such as a mobile phone app. Alzheimer’s Australia CEO Maree McCabe says the Australian-first is a major step forward in making Australia more dementia-friendly. “Australia’s first dementia-friendly airport is a fantastic achievement and Alzheimer’s Australia congratulates everyone who has worked to see it become a reality,” she says. Ms McCabe points out no matter the size of the organisation, dementia-friendly principles could be achieved. The guide can be accessed online at the Dementia Centre for Research Collaboration as well as Brisbane Airport Corporation. Is very much related to procrastinating on giving full attention to the close (at hand), in favor of something that is less immediate. Avoidance behavior is likely to involve a certain sense of trepidation in coming face to face with ‘oneself’. This action may relate directly to an inner state of enigmatic perplexity or through association. When Post -Traumatic Stress Disorder has not been resolved, a mind-set of victimization can persist, even long after the event. You will see, quite often, that this role of ‘the victim’ is played out as a well structured character in order to attract attention, and doesn’t necessarily connect with the actual crisis moment. Keep in mind though, that at the core of this mindset, there is emotional residue at play due to Post-Traumatic Stress Disorder. Having been hurt in the past makes a person vulnerable to further hurt later on in life. Flashbacks are intrusive thoughts and memories that bring those suffering from Post-Traumatic Stress and PTSD face to face with fraught, overwhelming feelings of fear and helplessness. In theory, this is consciousness trying to come to terms with what is alive in the system. Unfortunately, in practice, it often leads to further psychological darkness and withdrawal symptoms. Nightmares related to PTSD are flashbacks in the dream state. Post-Traumatic Stress Disorder and physical pain very often go hand in hand. When stress, as a result of trauma is unresolved, it settles in the body’s tissues which results in leaving residual patterns of constriction. We have also determined this as: a trauma vortex or energy cysts. These constriction patterns can be the cause of physical discomfort in themselves or take up so much energy that it will inhibit proper functioning of other systems in the body – think of the immune system, nervous system and/or digestive system. The most common chronic incidents of pain related to PTSD are in the joints, fibromyalgia and headaches/migraines. Panic attacks go a step further than anxiety attacks do. They are often triggered by events or circumstances that are associated with past traumatic experience. This can be either on an unconscious level or consciously experienced with intrusive and overwhelming thoughts and feelings derived from past incidents. This often results in a variety of obsessive coping behavior and/or addictions. Think of: people avoidance, excessive (hand) washing, house cleaning, or substance abuse. When emotion becomes too intense to be contained, or when there is a mixture of emotions emerging simultaneously. This can happen during or after the onset of trauma. Caution is advised for when this might happen during the therapeutic process, as it could easily lead to overwhelming emotional convulsions and possible re-traumatization. Crying, per se, doesn’t necessarily indicate that a person is in a state of uncontrollable, overflowing emotion. PTSD causes a breach in the normal flow of energized resilience, within the nervous system. It will often lead to hyper-activation followed by a ‘breakdown’ when exhaustion starts to set in. Lethargy can possibly be related to the state of ‘breakdown’ of the nervous system. A person suffering from PTSD may well linger in this state in order to avoid dealing with high activation and associated feelings caused by trauma. Post-Traumatic Stress, be it developmental or PTSD, takes up enormous amounts of energy. It is like an identity that needs to be constantly fed to keep itself alive. In time it can become a mindset that contributes to the avoidance of the underlying emotional turmoil. No amount of sleep will remove the feeling of exhaustion as its cause is on a mental-emotional level. Denial is clearly a coping mechanism to avoid dealing with the emotional strain of Post-Traumatic Stress Disorder. Unfortunately it often becomes a ‘conditioned response’ mindset, a habit, and will be used not only when there is association with past traumatic incidents but throughout everyday life and social interactions. Chronic pain is already a severe somatic reaction. Looking deeply into the affects of Post-Traumatic Stress Disorder, these can contribute to a wide variety of physical conditions. To name a few: heart attack, stroke, organ dysfunction, auto-immune diseases etcetera. It’s epidemic, if you ask me! Is where the dissociative behavior, as a result of trauma, takes on a life of its own. The separation becomes so marked as to give off the appearance of separate identities taking control. Considering PTSD – it is extreme internal conflict that results in the overwhelming of the nervous system resembling an epileptic seizure. It can be equally marked by: convulsive shaking tremors and an inability to communicate with others. Shock and the processes of trauma can also have some of these symptoms, but is definitely to a qualitatively different degree. PTSD entails a breakdown of one’s identity through feelings of overwhelming helplessness. There is a deeply felt sense of loss of boundaries and containment. To compensate for that, or attempting to reclaim a sense of self, there can be the acting out of self-righteous behavior. “It’s not easy to stand on stage in a bikini in pageants. I have a 25-inch scar that runs down my spine. Victoria wasn’t always so open about her condition. 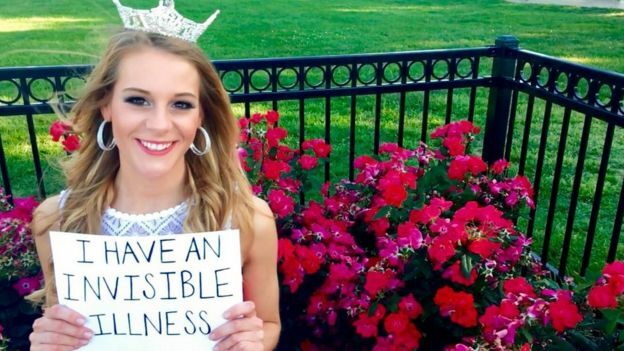 “Until I left school at 19, I hid my illness from others,” she says. But she’s since realised that speaking out makes her feel empowered – and enables her to help others in the same situation. Victoria grew up practising gymnastics and was told she was “too flexible” by her coaches. 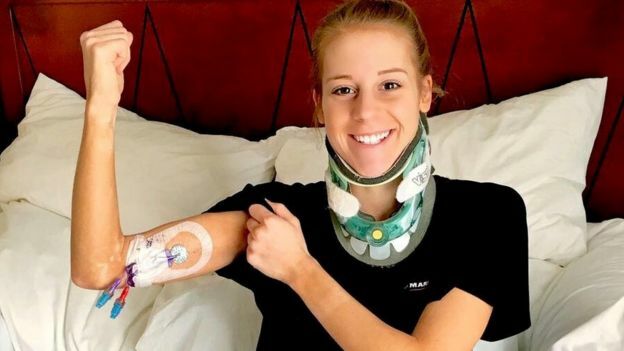 She became aware something was really wrong after a gymnastics accident when she was 10. “I’d get injuries that weren’t normal – things weren’t adding up,” she says. EDS is notoriously difficult to diagnose, and she spent three years seeing different specialists, trying to pin down the problem. Eventually her family found a geneticist who gave her a diagnosis aged 13. 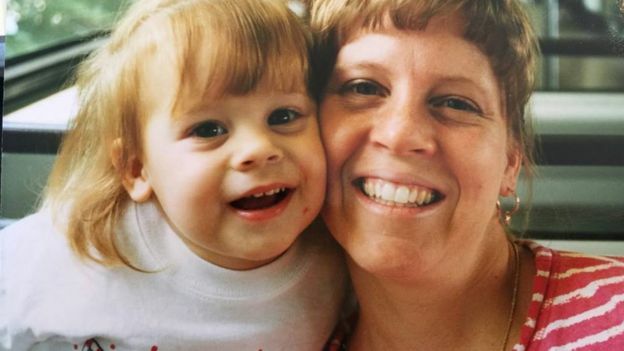 “It was weird because although there’s no treatment and no cure, we were ecstatic because we finally had a name for what was going on,” she says. It then became apparent that Victoria’s condition was inherited – only then did her mother, brother and other family members find out they also had lesser forms of EDS. “My grandmother lived with EDS for nearly 70 years without knowing and my Mom had it 40 years. “Nobody should have to live that long before finding out what’s going on with them,” she says. Over a two-year period from 2014, Victoria had to undergo 10 operations on her brain and spine. “I’m fused from skull to my bum – all the way down,” she says. “Because I was able to move so much before, the vertebrae were dislocating themselves. Victoria’s EDS affects a lot of aspects of her body, including blood flow. She says she has to take 20-25 tablets every two hours. Some are for pain relief, but others are supplements to ensure her body keeps functioning correctly. Despite the severity of her condition, Victoria finds herself often dismissed and discriminated against because of the invisible nature of her illness. At school she consistently struggled with teachers’ unwillingness to make accommodations. And she says she often gets shouted at in public for using a disability parking pass. As part of her efforts to raise awareness and educate people, Victoria now performs a monologue about her condition at pageant competitions. She says she entered her first competition as part of a ‘bucket list’ deal with a friend after an operation. She won her first local title just months later and now holds Miss Frostburg – a local title within the Miss America Organization. Through this platform she has been able to meet and support other people with EDS. “Its not always easy, sometimes you want to be normal – you don’t want to be that girl with those scars on stage,” she says. 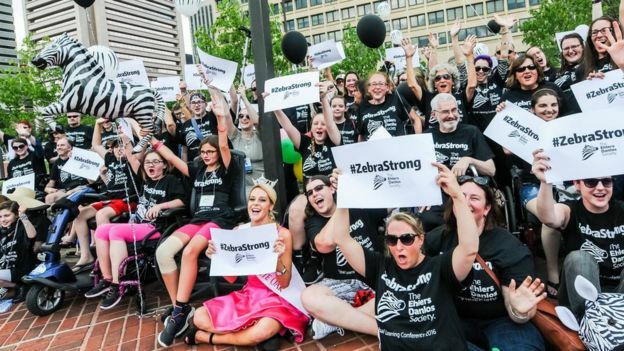 Despite being only 22, Victoria now runs her own non-profit EDS support group called ‘The Zebra Network‘. “I was seeing people who were struggling – doctors were often recommended through word of mouth. “I saw a dire need for a network of sufferers and for someone to dedicate their life to that” she says. “So if a kid has runny nose or a cough they most likely have a cold rather than a rare form of cancer. But those rare things do happen and are often called ‘medical zebras’. Despite her confidence now, its been a fraught journey to this point for Victoria. 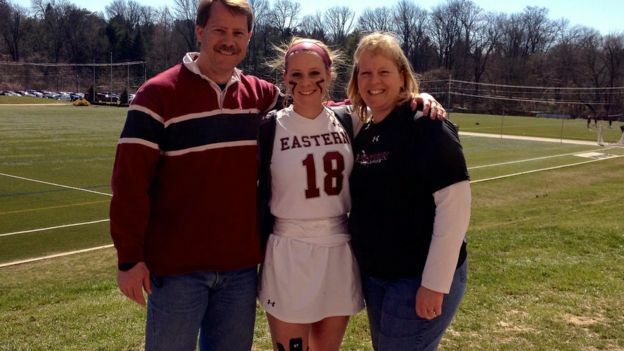 At Eastern University in Philadelphia, she was on the soccer and lacrosse teams, but was forced to move colleges to a more flexible programme because of her operations. She says she also lost friends as she went through so many procedures. She also describes having relationships with boyfriends suffer. Victoria played soccer and lacrosse throughout school and college. “I try to be very understanding and not take it personally,” she says. “You have to think of the other side of things. I think that’s one of the ways I’ve been able to combat the negativity.